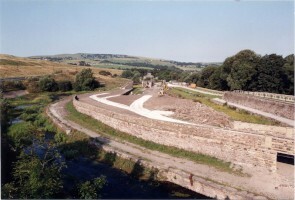 In the late 1960s the Inland Waterways Protection Society (IWPS) were given permission by the British Waterways Board to commence the restoration of the canal arm. For more than 40 years the IWPS strove to restore this historically important complex. It is now a scheduled Ancient Monument and attracts more than 50,000 visitors a year. What was IWPS now manage promotion of, and access to, the site and have, therefore, renamed themselves the Bugsworth Basin Heritage Trust. The Waterways Archive is very grateful for Bugsworth Basin Heritage Trust's generous contribution towards the refurbishment of our research facilities in 2015.